Keep Clean is here to help, we are experts at cleaning and a single source for your janitorial needs. Submit an inquiry request, call us or stop by our facility to get started today! 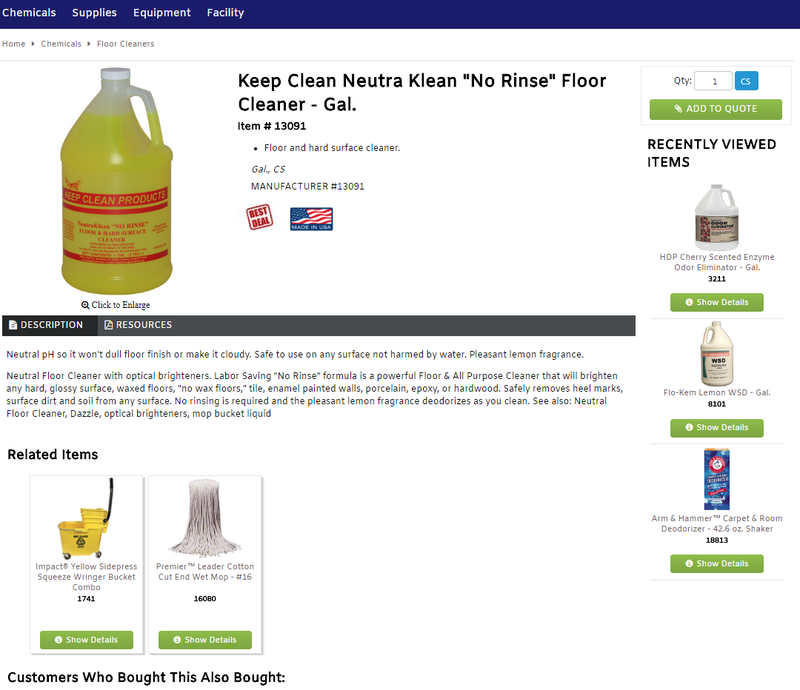 Cleaning products & everything you need to maintain your facility from top to bottom. We carry quality products that we would use ourselves. Most orders delivered the next business day. Service with a smile from our friendly delivery drivers. Ask about Green Seal, Safer Choice (DfE) or EcoLogo Products. Green Seal Certified means the products carrying this label meet the most rigorous Green Seal environmental standards for consumable goods. 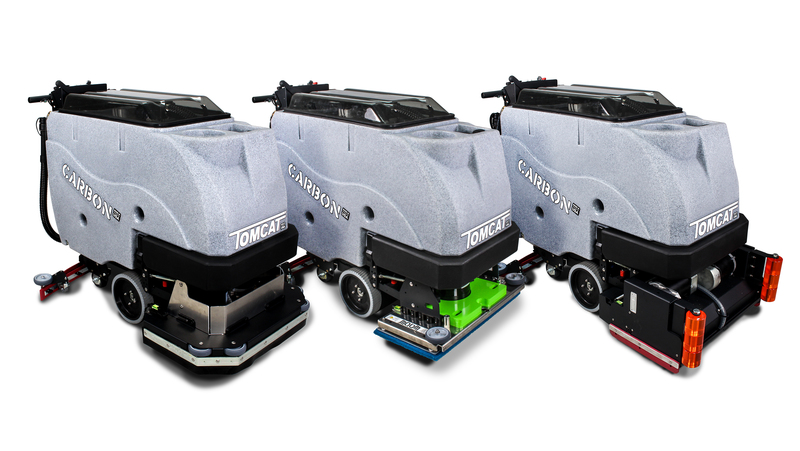 Automatic Floor Scrubbers - Walk Behind & Ride On, Carpet Extractors & Steam Machines, Floor Buffers, Sweepers and More! Tomcat • Nobles by Tennant • EDIC • Kärcher • Sanitaire • Perfect Products • TMI Timbucktoo • Hawk & More! 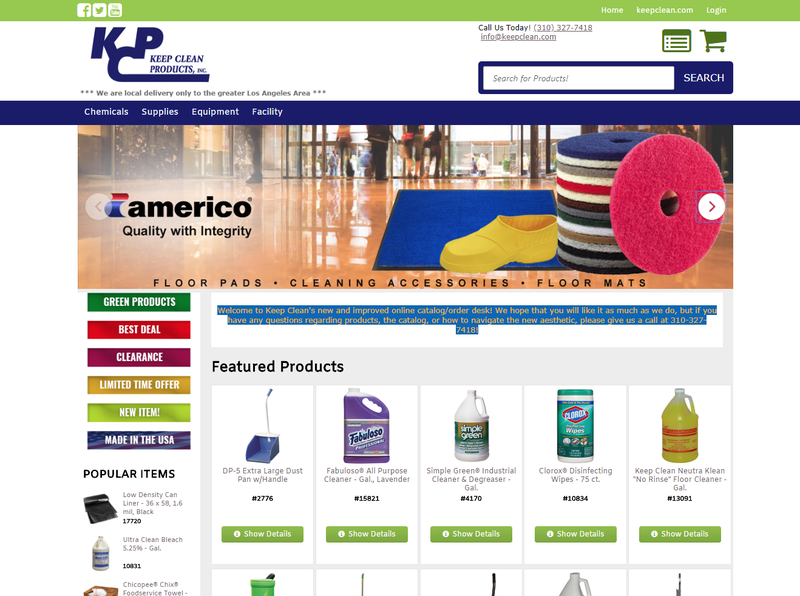 Our Online Catalog allows customers to shop, browse, view their quote and place orders. Mobile Friendly so you are never more than a few clicks away from ordering exactly what you need. 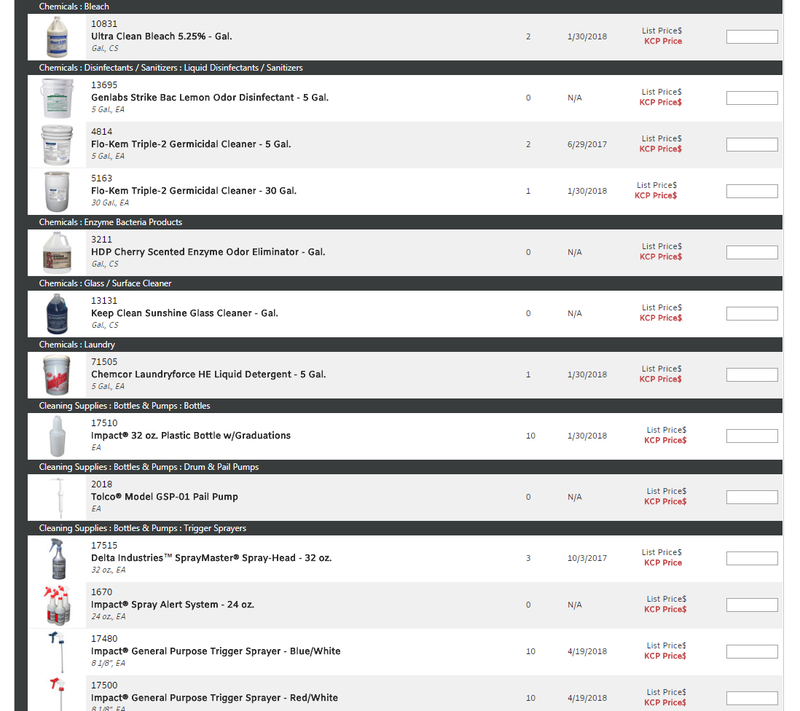 Instant e-mail order confirmations so you can review your orders and predict expenses. Advanced shipping choices if you have more than 1 location or if you want to request delivery for a specific date or time. Check Out Our Catalog Now! Our Gardena Warehouse is easily reached from the 91, 105, 110 or 405 freeways. Our doors are open to the public. Please check our Contact Us page for more information about location and hours. Keep Clean represents numerous equipment manufacturers to bring you the best machine from each line. Diverse demo inventory so you can see the machines in action before you buy. We service all of the machines that we sell. Whether its a scheduled Preventative Maintenance Service or a warranty repair – we make sure you get the most out of your equipment investment. Large inventory of parts – we stock OEM (Original Equipment Manufacturer) parts at our warehouse. Vacuums, Janitor Carts, Air Blowers and Much More!